Inside: Being a mom is hard enough, but when we are feeling anxious, parenting is even harder. We don’t have to live life defeated, but rather we can thrive even when we are anxious. Learn what we can do and how God’s word can help us manage and live with anxiety! I’m sharing this post over at Faith Along the Way. If you haven’t ever been to this site, you have to come and check it out. There is a wealth of information and posts for you to enjoy! Did you know that 12 million women in the United States are struggling with anxiety? In our population of males and females, 18.1% struggle with it, but only 36.9% get treatment. Of those diagnosed, half of them will also battle depression. This is a huge deal because both of these mental health conditions affect the quality of life, relationships, health, and joy. Our society is made up of many defeated, discouraged men and women walking around. These individuals also extend into the church, where many times, they aren’t given much help either. How many of these are mothers, trying to take care of themselves while simultaneously caring for little ones? This is a hard and life-consuming road; I can say this because I’ve been there. I am frustrated with my anxiety and dizziness. I’ve endured this for so long. I want to live in a way that I’m confident in myself. I want to be able to do the things I enjoy: being out and about, driving and attending church and other functions. So much of life has been taken from me. The ease of life is gone. You’ve given me these 5 kids and I need the ability to care for them, drive them and take them places. You’re the only mom dealing with this. Friend, if you’re right here in the middle of this, I want to offer you some encouragement! God can use these conditions to draw you closer to Him (Hebrews 4:16). He is in control, you aren’t battling this alone and this (Joshua 1:9). God will use even this if you let Him (Philippians 1:6). You are not the lies you’ve been listening to. You are worthy, loved and so significant that God sent His son for you (John 3:16). God uses our sorrow over this situation to bring us to humble ourselves before Him (2 Corinthians 7:10). God makes us victors (Romans 8:37-39). We can endure and persevere through this (Philippians 4:13). So how can we thrive as anxious moms? Follow me to Faith Along the Way to read the rest of this post! 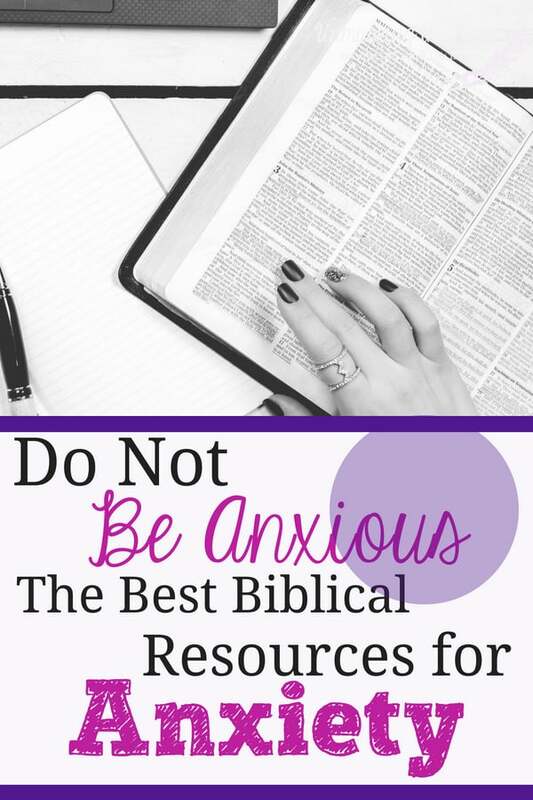 Here are some links to my Biblically-based anxiety resources or products to help manage and live victoriously with anxiety. Dealing with anxiety is never easy. I’m heading over to read the rest of your post. Getting proper rest and doing things we enjoy are two things that a lot of moms don’t have control over. When we never do anything life-giving and fun (only do the work of taking care of the kids continuously), we can’t feel refreshed and become more and more bogged down. I feel like this is such an important concept. We are not our illnesses or faults. We can still be a blessing to others and live fulfilling lives with God’s blessing and help.